To what extent should the materiality of texts and artifacts be accounted for in a process view of organization? What part does materiality play in the process by which organizations achieve continuity in time and space? In what sense do artifacts perform a role in human communication and interaction and in the constitution of organization? What are the voices and entities participating in the emergence and stabilization of organizational reality? The work represents scholarship going on in various parts of the world, and features contributions that overcome traditional conceptions of the nature of organizing by addressing in specific ways the difficult issues of the performative character of agency; materiality as the basis of the iterability of communication and continuity of organizations; and discourse as both textuality and interaction. 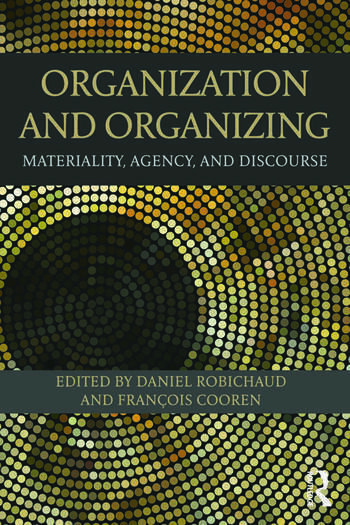 The contributions laid out in this book also pay tribute to the work of the organizational communication theorist James R. Taylor, who developed a view of organization as deeply rooted in communication and language. Contributors extend and challenge Taylor’s communicative view by tackling issues and assumptions left implicit in his work. Daniel ROBICHAUD is Associate Professor in the Department of Communication, Université de Montréal, Canada. François COOREN is Full Professor in the Department of Communication, Université de Montréal, Canada. He is past president of the International Communication Association.